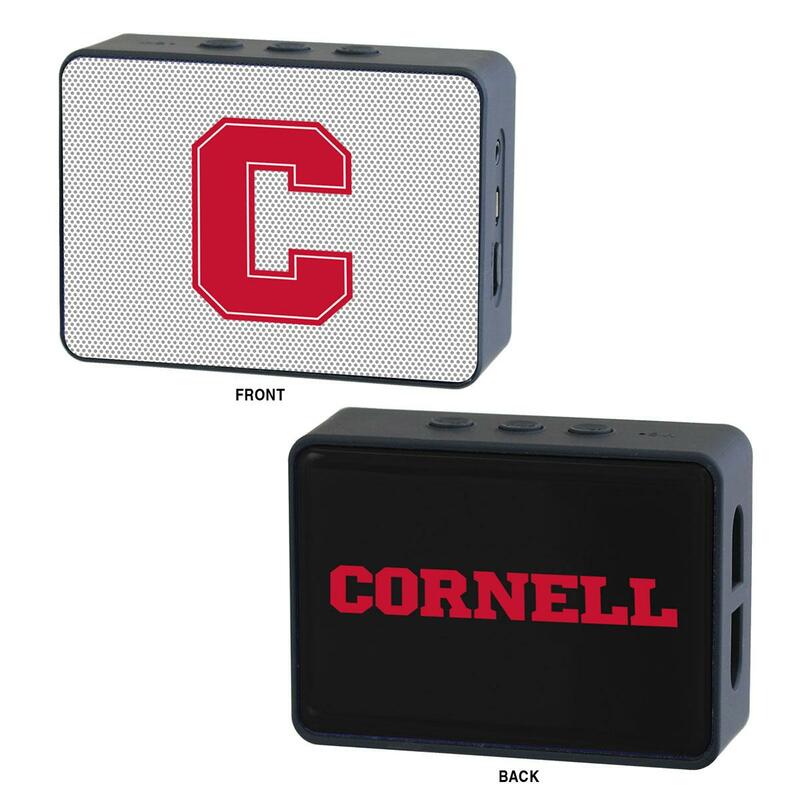 Blast your favorite tunes and sing along in style with this small portable bluetooth speaker with Cornell logos. You'll never miss a beat when listening to all of your favorite songs with this compact speaker with built in subwoofer and wrist strap. 33ft range, up to 5 hours of playtime, 3.7" x 2.6" x 1.3"